The Queen of Soul recently put out press release of what actors should be in an upcoming movie about her life, based on her memoir, “Aretha: From These Roots,” The Associated Press reported. Aretha Franklin would like actress Halle Berry to play her younger self in a new biopic. 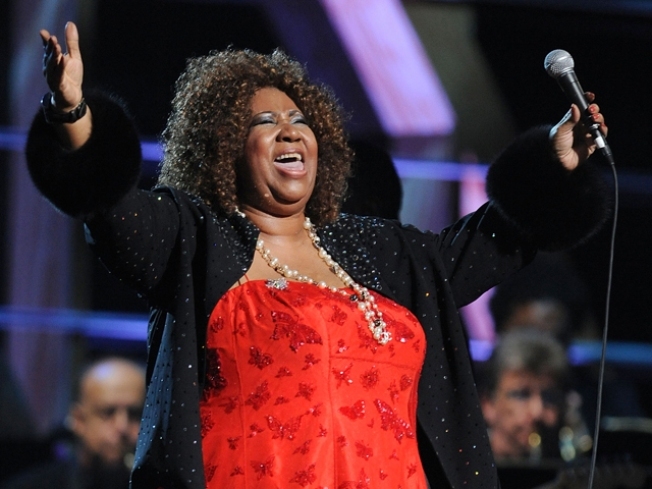 The Queen of Soul, 68, recently put out press release of the actors she would like to star in an upcoming movie about her life, based on the memoir, “Aretha: From These Roots,” The Associated Press reported. In addition to Berry, Franklin’s other casting choices would include Denzel Washington to portray her father, the Baptist minister and civil rights activist C.L. Franklin; and Terrence Howard to play legendary singer/songwriter Smokey Robinson. According to the press release, Franklin said that the aforementioned actors are "enthusiastic about the project and have agreed to take on these roles, subject to further negotiation." The Associated Press left messages for reps of Berry, Washington, and Howard seeking comment.